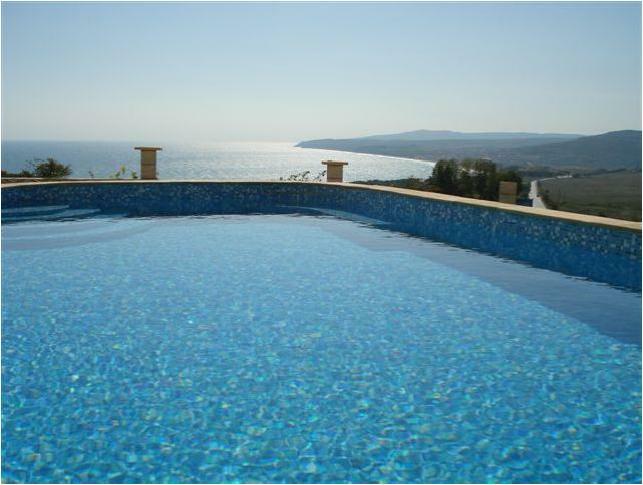 This beautifully set rental villa lies within the popular town of Priselci. Priselci is the first town you reach when traveling south from Varna and offers everything you would expect from a small town. Kamchiya beach is located 10 minutes drive south of Priselci and is one of the most beautiful sights along the Bulgarian coast. Besides various trees, bushes, ferns, reeds and yellow water lilies, the region it is best known for its wide beaches, and the river Kamchiya. The resort of Kamchiya has not been developed for many years, however offers large restaurants such as - Kamchiya, Lillie of Kamchiya, Kamchiiska Sreshta, and Hambarite, which combines rich cuisines and shows - there are also a lot of small bistros and pubs offering delicious sea and river food. There is a good restaurant in the area called Poda, which is situated at the rivers mouth. This rental property boasts three good size bedrooms, two double bedrooms one with en-suite, and a children’s room with bunk beds, all of which have air conditioning to help with those sticky nights. This rental property also offers a separate bath room for extra convenience. This villa offers everything you would expect from a rental property. The kitchen is fully equipped and includes a full size fridge freezer, dishwasher and washing machine. In the living area you have amazing double aspect French style door leading on to the terrace which has an excellent country view. Outside is a patio area around the pool. Sun loungers are provided to sit down and soak up the sun, or to enjoy a barbecue around the pool, making this property ideal for your Bulgarian holiday, suitable for both family holidays and couples wanting to get away from it all. Wi-Fi Internet is provided also in the house!! !